Early 20th Century French Pine Shelves. Three tiers with pretty shaped fronts. 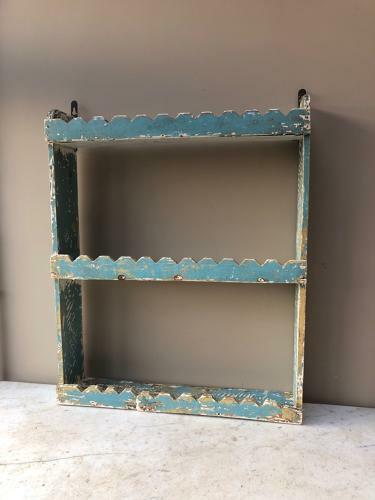 I am told these shelves were covered in thick white paint when found and they have been hand scraped back to expose the original blue paint.